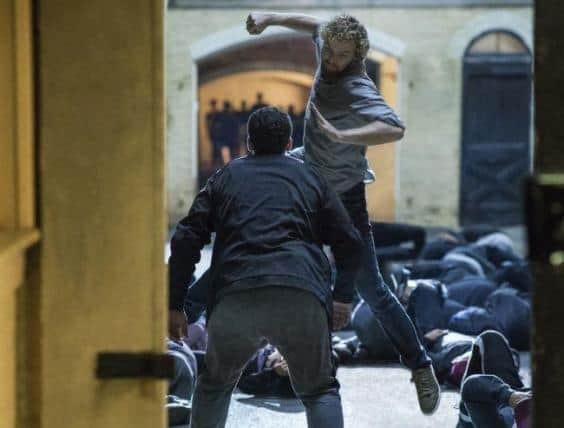 Iron Fist will be taking the spotlight at this year’s New York Comic-Con that officially kicked off today. Thanks to Twitter user Noah Griego, we have now a first look at the cover for the prelude comic of the fourth Marvel series on Netflix which you can check out below. In case you are going to New York Comic-Con this week, make sure you get in for the Iron Fist panel which will happen on Saturday at 6:30 – 7:30 PM in the Main Stage 1-D.
Iron Fist, starring Finn Jones as Danny Rand, Jessica Henwick as Colleen Wing, Jessica Stroup as Joy Meachum, Tom Pelphrey as Ward Meachum, David Wenham as Harold Meachum and Carrie-Ann Moss reprising her role as Jeri Hogarth, is currently in production and is set to be released on Netflix on March 17, 2017.